If Kate Bush had stumbled onto the stage at London's Apollo Hammersmith theater on August 26, 2014, sang "Knees Up, Mother Brown" for 15 minutes, and then wandered off, most folks in attendance would have still felt they'd witnessed something remarkable. After all, it was the first time the gifted and reclusive artist had performed on-stage since 1979, and the fact she was greeting her audience at all seemed just short of impossible. Given the craft and ambition of Bush's body of recorded work, it came as no surprise that she had something quite grand in mind for her audience when she made her unexpected return to public performance with a run of 22 shows that stretched from August to October 2014. Bush's elaborate show included costume changes, actors, dancers, puppets, magicians, film projections, and a loose narrative that turned the concert into a three-act stage production. Before the Dawn is a live album recorded during two nights of Bush's show ("Before the Dawn" was also the name she gave the event), and in many respects it plays more like the original cast album of some eccentric West End spectacular than a typical concert souvenir. While Act One (the first disc of the three-CD edition) is song-oriented and features a couple of Bush's bigger hits ("Running Up That Hill" and "Hounds of Love"), Acts Two and Three are devoted to a pair of extended suites. "The Ninth Wave" is drawn from the second half of 1985's Hounds of Love album, and "A Sky of Honey" features material from 2005's Aerial and 2011's 50 Words for Snow. While the music in Acts Two and Three is often strikingly beautiful and the performances are superb, they also seem to be one part of a larger stage performance. You can't help but wish you could see what was happening as well as hearing it, especially the long passages where instrumental work and other vocalists dominate the soundscape. But even with just the audio, Before the Dawn is something quite remarkable. Bush's vocals are splendid, and if she has a bit less control on-stage than in the studio, there's a frisson that more than compensates, and this is a striking expression of her own glorious and playfully mad vision of the collision of humanity and nature. Her accompanists match the rigor and precision of Bush's carefully crafted studio creations (especially the percussion of Omar Hakim and Mino Cinelu, the guitar work of David Rhodes, and Bush's own piano), and while the clarity and spaciousness of the mix make it hard to believe this is a fully live recording, the liner notes insist it is. 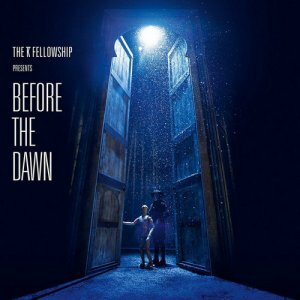 Kate Bush is too much of a visionary to come back to the stage with any old show, and Before the Dawn is an album just as special as she is, a remarkable and expansive creative statement full of wonder and magic that rivals the best of her LPs.